This project makes available scanned aerial photographs of Illinois taken between 1935 and 1955. 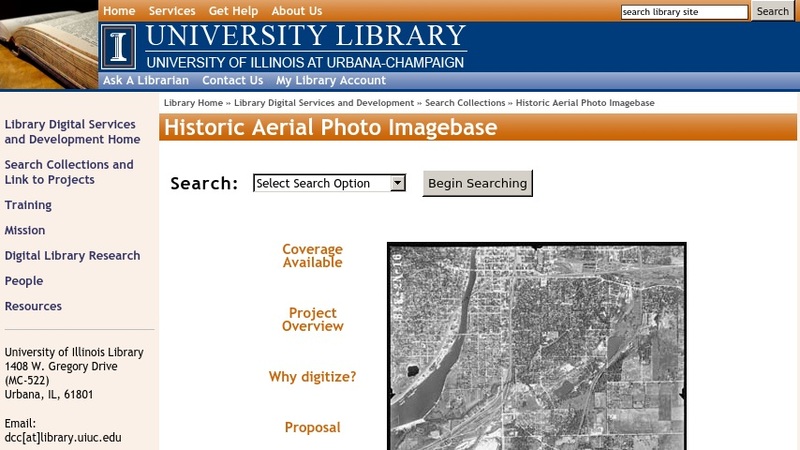 Due to the immense number of aerial photos in the University of Illinois, Urbana-Champaign collection, the digitization process was limited to only a small portion of several counties. Specific features were targeted, including the Illinois River, the Champaign-Urbana region, Joliet, and southern Cook county. Users can view JPG image surrogates resized from archival TIFFs that were produced by scanning the photographs at approximately 720 dpi.